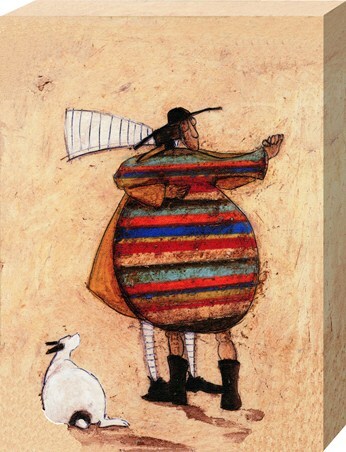 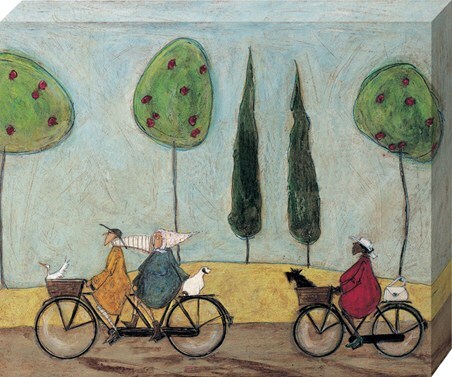 Art Canvas Print: Sam Toft is a British illustrator who is known for her whimsical drawings which centres on the lives of the Mustard family. 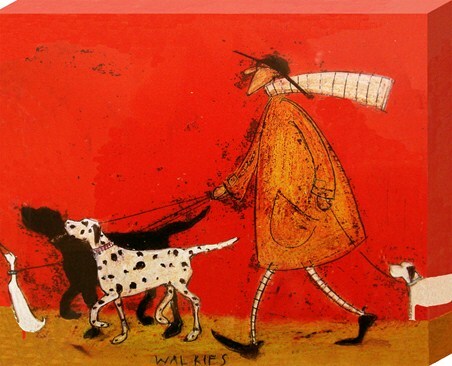 'Walkies' is a lovely piece which shows the head of the family, Mr Ernest Hemingway Mustard taking his portly dog Doris for a walk with some of their friends including Horace the duck. 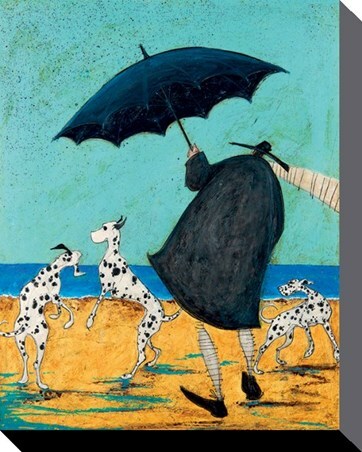 This charming canvas print captures life's everyday tasks and transforms them into something special as Toft weaves her magic through each and every stroke of the pen and it will make a great addition to your Toft collection or as a centre piece. 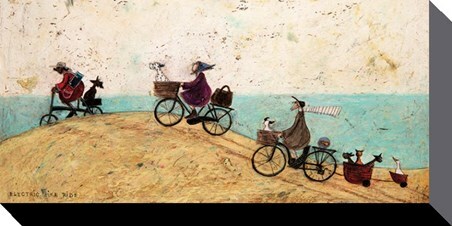 High quality, framed Walkies, Sam Toft canvas print with a bespoke frame by our custom framing service.